Castaner told a news conference the man had shown onlookers the grenade, said he was carrying other explosives and had demanded to see French President Emmanuel Macron. 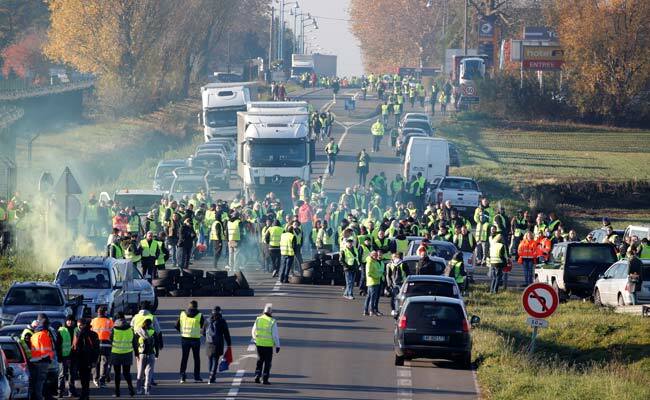 People wearing yellow vests, a symbol of a French drivers' nationwide protest against higher fuel prices. A man wearing a fluorescent yellow jacket similar to those worn by fuel protesters across the country has threatened to explode a grenade near a petrol station in the western French town of Angers, Interior Minister Christophe Castaner said on Friday. Security officials were on site to evaluate the risk, Castaner said. It was not clear if the man was directly linked to the yellow jacket movement.